Your applications are up, now comes the hard part. With traditional, first-time freshmen applying to an ever-increasing number of colleges each year, and an over-reliance by many colleges on one-size-fits-all student search packages that focus on boosting application volume rather than attracting seriously interested students, the application has become the new inquiry. What does this mean? 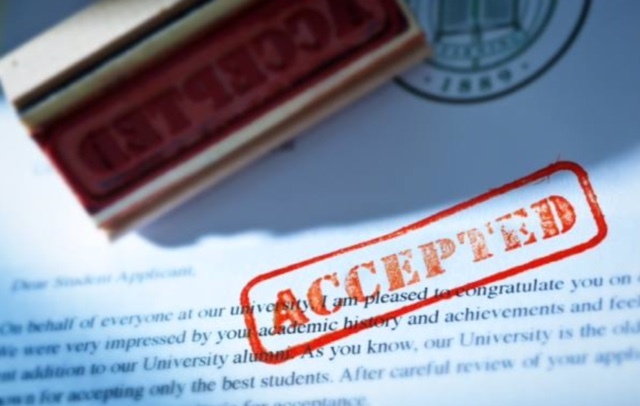 It means that colleges should treat applications as strong inquiries and keep recruiting students up to, and even through, decision deadlines. In our focus groups with high-ability students, we consistently find that many are still deciding among their top three or four colleges up to a week before decision deadlines. Our research indicates that over 40% of students are applying to seven or more colleges, and that many high school counselors are recommending students apply to 8 to 10 (in some cases 15 or more) colleges, so college-bound students have more choices than ever. By contrast, demographics for college-bound high school seniors are flat or in decline, depending on geographic region, yet many colleges still boast about application growth year-to-year. The same or a shrinking number of overall students applying to more and more colleges means the bottom usually falls out for many colleges at the yield stage or through summer melt. This is one of the key considerations Moody's used when it downgraded the higher education sector. In this tough environment, the recruitment cycle has become elongated on both ends and there are no easy fixes for meeting enrollment goals. It requires a lot of hard work, focus on the little things, and coordinated teamwork between admissions, marketing & communications, and financial aid. Customize your outreach on the individual level to present relevant information. Avoid making phone calls without a specific purpose, as well as process-oriented or school-centered communication at this stage (or any stage for that matter). Every touch must be relevant and customized around the student’s interests and needs. While our clients have had great success developing relevant, customized content, we still see (through our market scans) a deluge of generic communications this time of year, including spring preview emails and postcards, from many of their competitors. Personalized attention pays dividends. This is where good, old-fashioned relationship building by recruitment counselors comes into play, which ideally started during the prospect stage (see below). In our recruitment assessments, we are surprised to see that many enrollment operations rely solely on a generic marketing communications flow and don’t supplement it with counselor-driven interactions and communications. Take an integrated approach by coordinating print, email, social, and targeted digital advertising with personal outreach from counselors, current students, parents, alumni, coaches, etc. A multi-channel approach will reach prospective students where they are and the personal outreach and attention will help close the deal. Develop a truly tailored visit offer for each admitted student and their family, even if they have already visited campus. Roll out the red carpet with a customized visit experience that is built around each student’s specific situation, interests, and goals. Show them the aspects of the campus they want to see, schedule meetings with current students and faculty members, spend time in the career development center, tour off-campus points of interest, put them in touch with alumni, etc. Because the visit is literally the most important moment in the entire recruitment process, it’s an investment you can’t afford not to make. Utilize predictive modeling to inform your actions and to make better use of limited resources. Statistical models can help rate likelihood of enrollment and behavioral tracking can reveal levels of demonstrated interest. Get a head start on future recruitment cycles by building meaningful relationships at the sophomore and junior levels. Effective recruiters make one-to-one and, when possible, face-to-face contact with prospective students, listen to their interests and concerns, and align these with the features and strengths of the college. The relationship that develops as a result of these conversations and the relevant information that you can provide in subsequent contacts over the course of a 24- to 36-month recruitment cycle will typically be among the most important elements in the student’s final decision to enroll. The goal is to become a first choice (or at least a top choice) well before the application stage. These are just a few of the strategies that we have successfully developed and implemented with our clients. GDA Integrated Services can help you build customized recruitment strategies and create effective recruitment and yield communication plans.